We were just blessed last night with Gary Means' ministry. 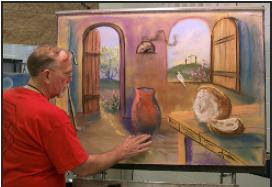 He did his Noah and the Ark presentation for the kids and then Lion and Lamb based on the painting "Peaceable Kingdom". It was moving and beautiful! 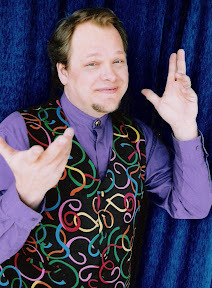 I took several classes of Garys at the Fellowship of Christain Magicians conferances when I was a teenager. I'm 54 now and still doing chalk talks in churches across Ohio. good to see he's still going strong. He's one of the best.